Nix the wicker and go with something a bit more contemporary. 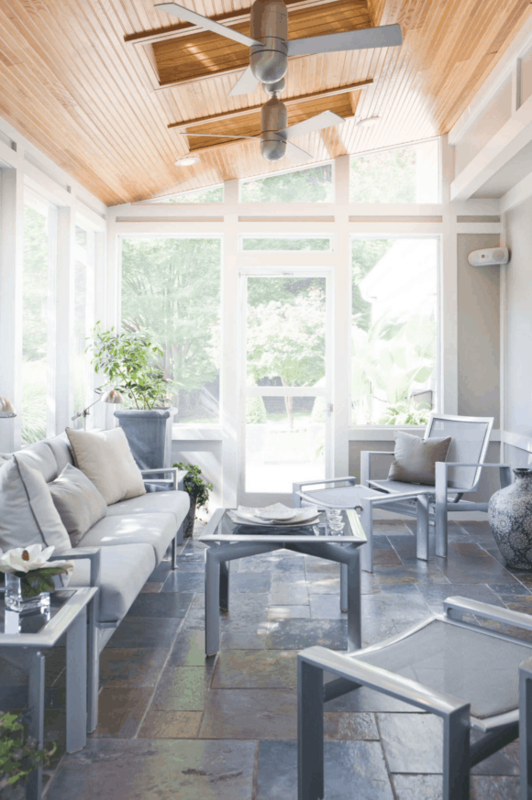 Turn your backyard into something special by adding any one of these 20 pieces of modern sunroom furniture. Just a simple switch can add personality to the porch! 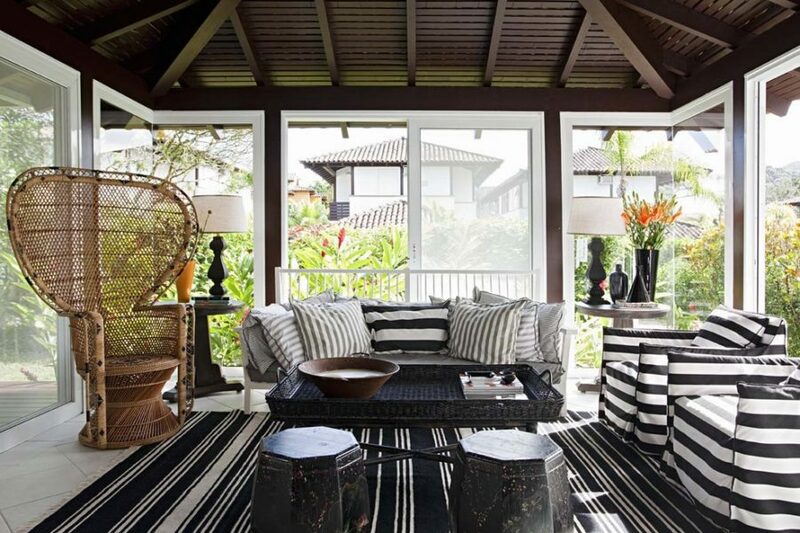 Sunroom Furniture Archives starts us off with this gorgeous sunroom complimented by black and charcoal outdoor pieces. Sharp edges and clean lines, it’s perfect for modern homes or bachelor-inspired spaces. 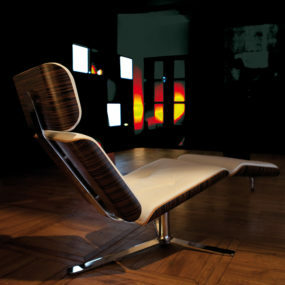 Decoist always has great inspiration and when we stumbled upon this modern masterpiece we knew we had to share it. 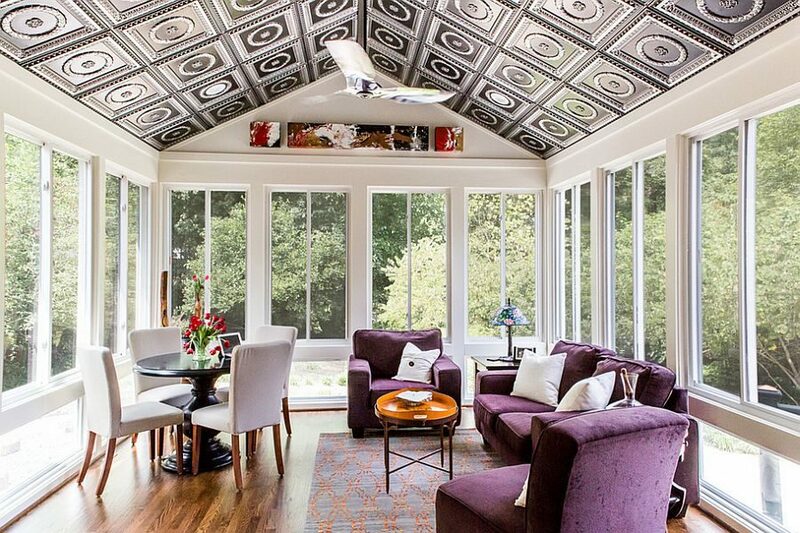 With a ceiling that’s a work of our on its own and a pair of furniture that compliments and creates an eclectically modern view, this sunroom is a stunner. Sometimes simplicity is really all you need to create a clean, contemporary space. These delicate legs and wooden foundations make for the perfect palette in this sunny sunroom. Creams, yellows and pops of reds on top add the personality. 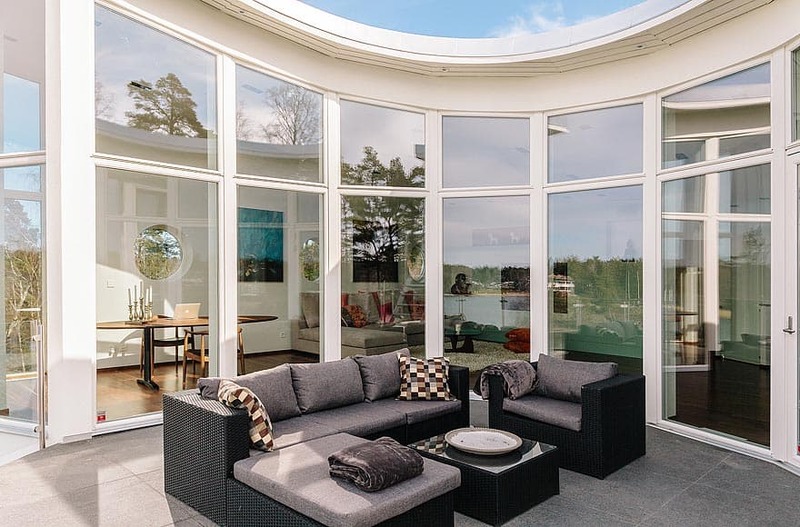 Artenzo has a more unique take on the classic sunroom. 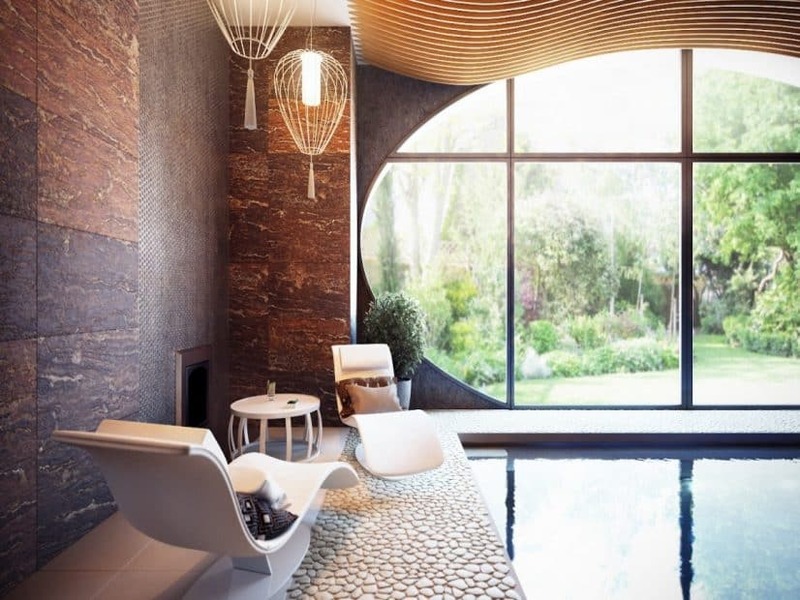 The overall design is a bit Asian in inspiration but those lounge chairs take outside relaxation to an entirely new level of contemporary style. Here’s a simple set of outdoor furniture that works great in a sunroom of sorts as well. 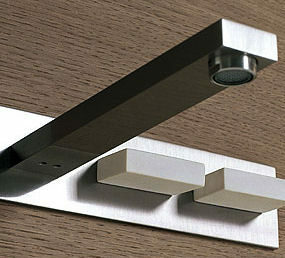 It’s clean and fits well within a modern scheme without any fuss. 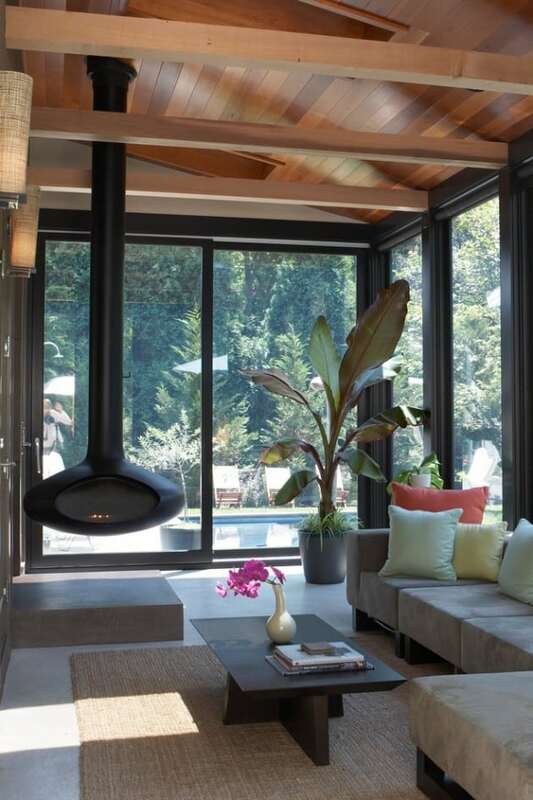 Modernize showcased this jungle-flavored sunroom and we instantly fell in love with the creativity, innovation and use of modern furniture in such an outside-the-box vision. 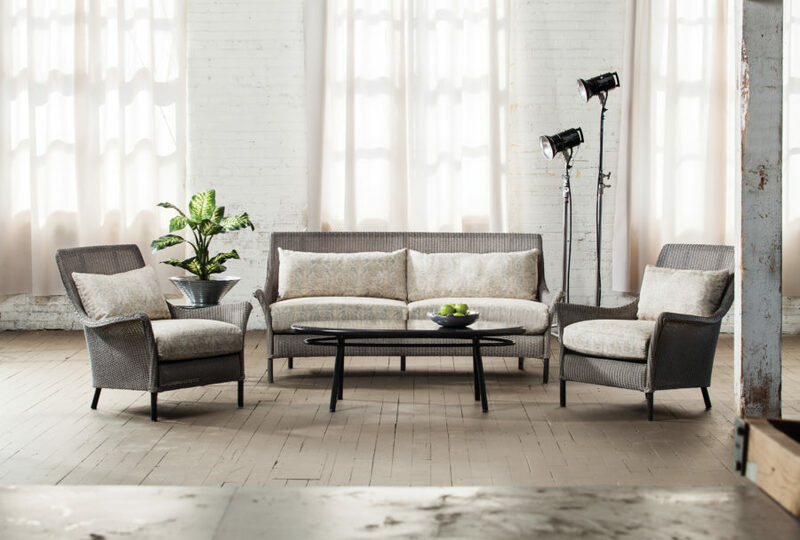 The unique, curved shapes of the loveseats can be such a fun addition to the home. Pinterest, as we know, holds lots of inspiration as well. Just check out these classic wooden pieces. 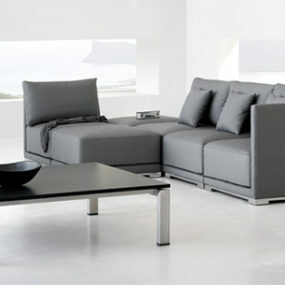 All you have to do to switch the style is switch out the cushions. Show off your personality and taste within the fabric. 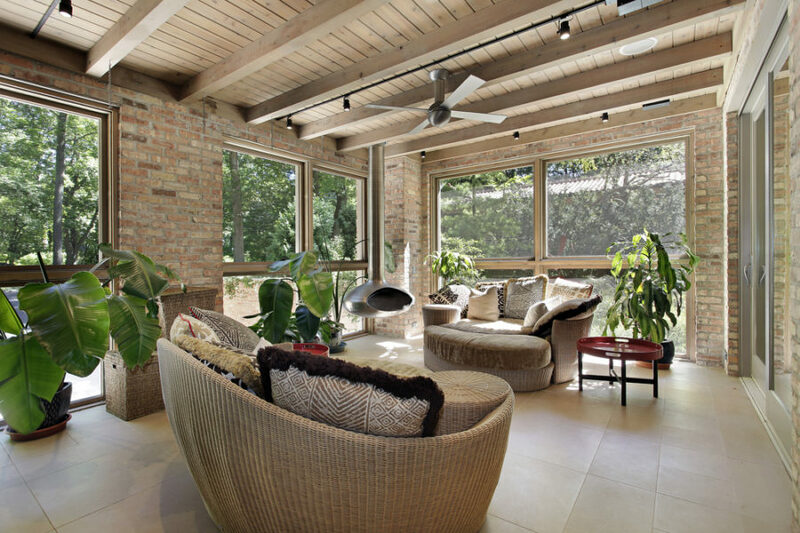 Decoist held this innovative sunroom design as well. 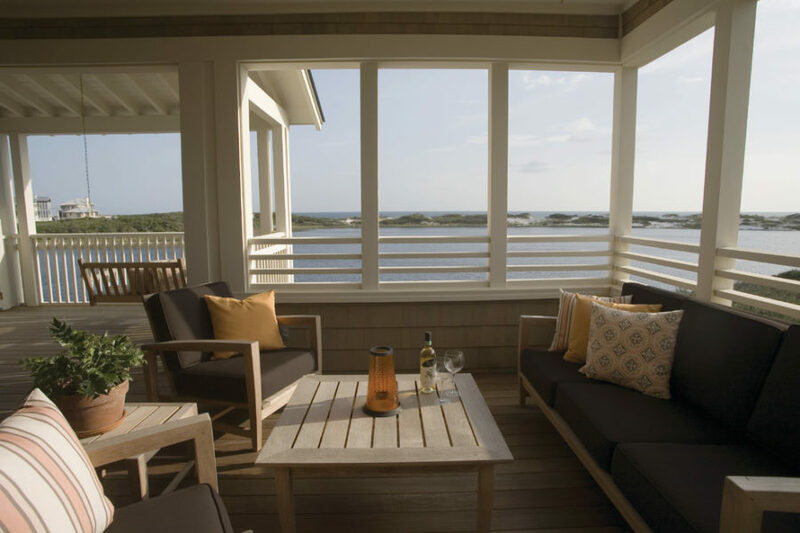 With built-in entertainment and a full living room set filled with modern tones, it really takes back porch living to an entirely new level, don’t you think? 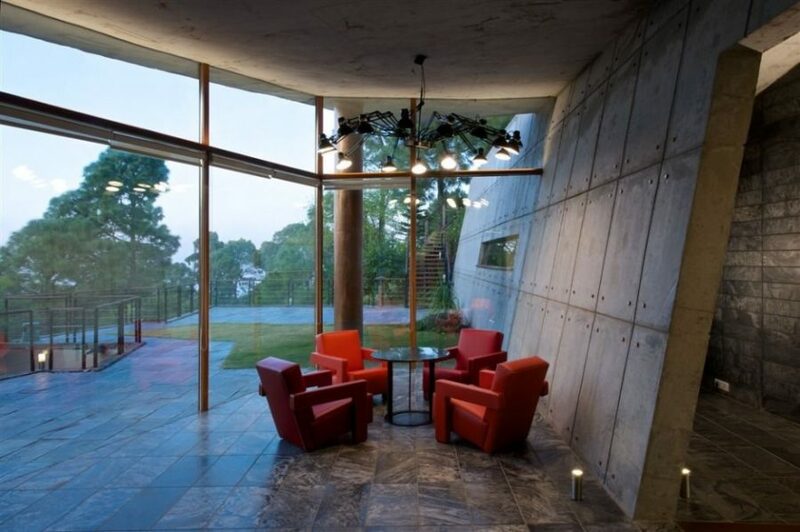 Here’s another sunroom big enough to hold a variety of entertaining areas while staying true to the modern vision. All white creates the illusion of an even bigger space against the natural lighting and the curves and shapes of the furniture create a contemporary vibe. CYBBALL knows that black and white stripes will withstand the test of time. Even when thrown into an eclectic setting like this one, they add a push of contemporary style and modern edges. It pairs nicely with fun textures too! Design Ideas and Décor did go with wicker but it was all in the setup and décor that made it a more modern fit. You can revamp older pieces by styling in the right ways and using the fun lines to an advantage. 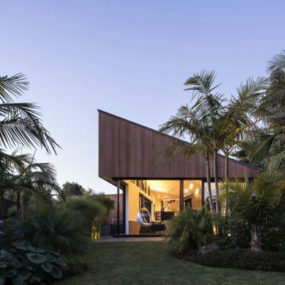 Check out this super modern beauty from Pinterest. Filled with black furniture against a sunny, white backdrop the contrast and the simple lines of the pieces are what make this space both posh and clean. 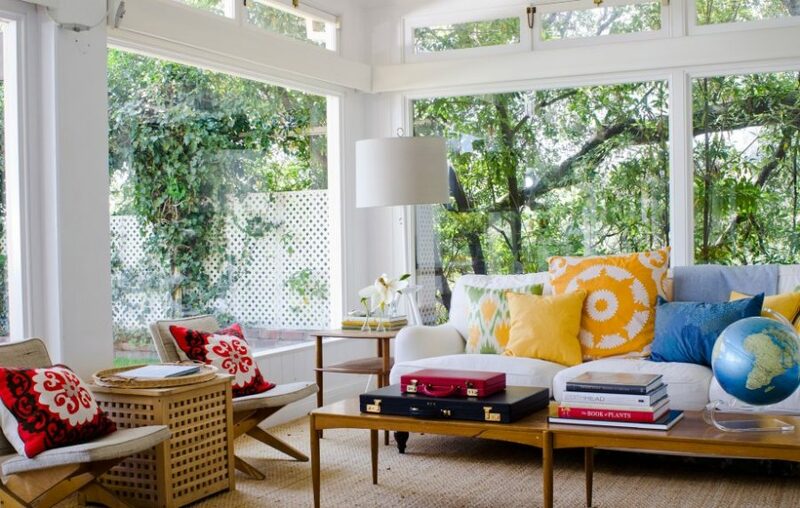 Here’s a cozier sunroom to gather inspiration from. Found on Sunroom Designs and Decors, bits and pieces of this entire spread can be used together or on its own in a contemporary and less-cluttered space. 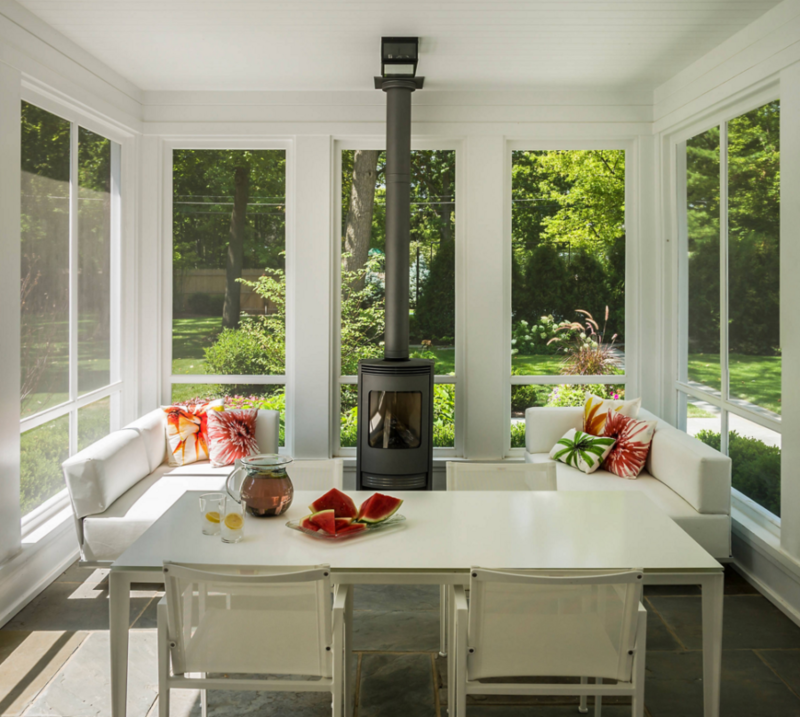 Architecture art design breathed new life into this classic, modern sunroom with its modern fireplace addition and simple seating area. A coffee table with a contemporary, artistic tone makes it both cozy and approachable. 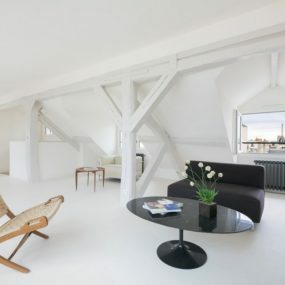 White and crisp, clean edged and no clutter, this is a minimalist’s dream. 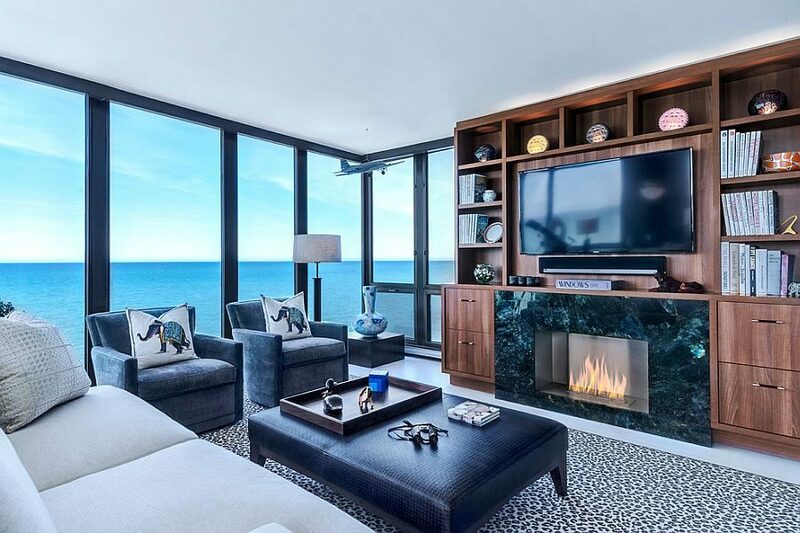 And check out that slick fireplace in the center of it all! 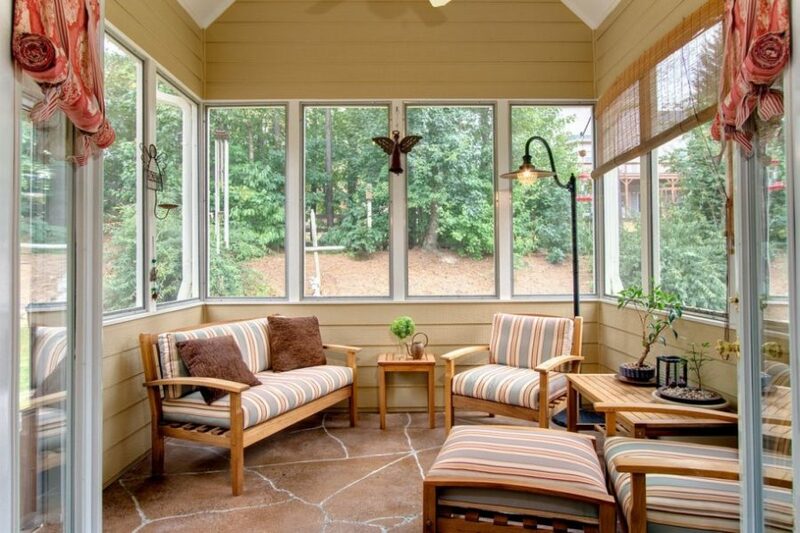 This sunroom, fashioned off the corner of a classic porch, rests easy with into simple wooden piece. 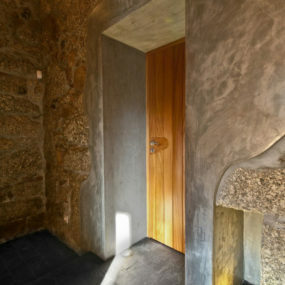 It’s modern though with its clean lines and no fuss design. Add some of your personality though by picking throw pillow and centerpieces that showcase it. DK Decor went all out with this beauty. 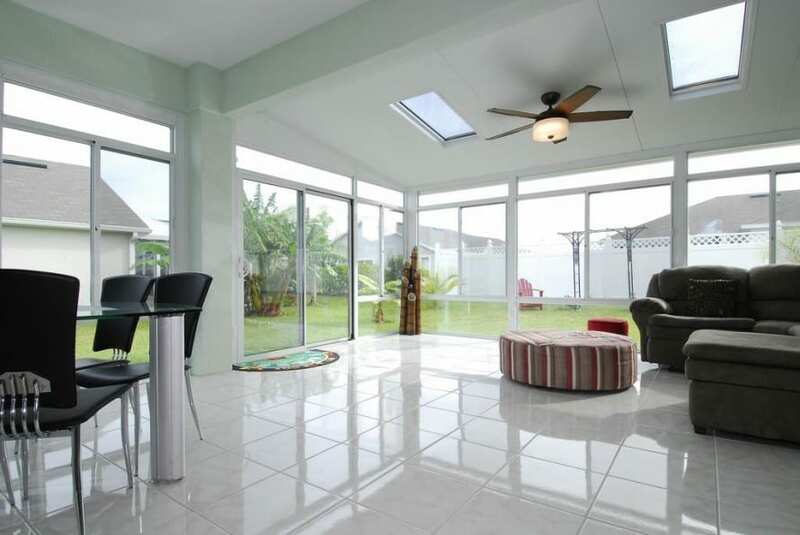 A sunroom that will fit the entire family and furniture that sings sweet songs to our modern, trendy-loving hearts. The blend of neutrals and fun texture is quite the magical pairings. If you’re looking for something with a bit more delicacy in the contemporary department, this this silver finish may be for your. 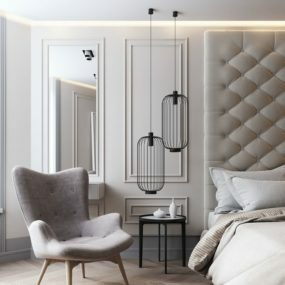 This space screams of futuristic vibes but also gives us a boost of romance, which is perfect for a room that thrives off natural lighting. And finally, these red chairs can really transform a spot. 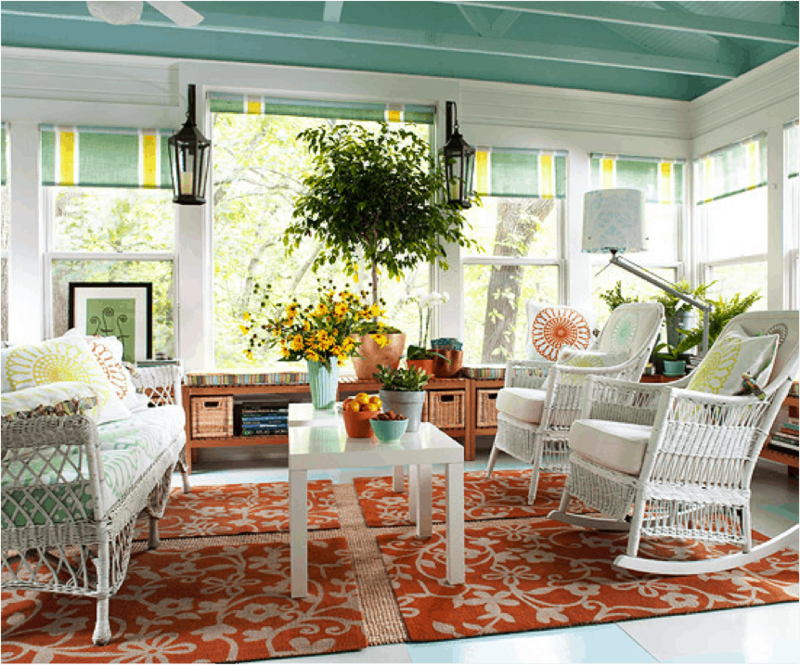 This sunroom had its own personality before the furniture showed up, but that pop of color personalizes it making it a spot that’s even more enjoyable.